Duodenoscope lawsuit filings have been reported around the country, after the instruments were tied to dangerous superbug infection outbreaks at the UCLA Ronald Reagan Medical Center and other hospitals. Plaintiffs claim that duodenoscope manufacturers failed to provide hospitals with an adequate cleaning protocol that would have prevented the infections. 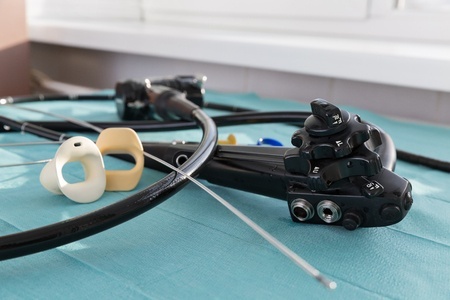 The nationwide law firm of Bernstein Liebhard LLP is now investigating potential legal claims on behalf of individuals who may have been harmed by contaminated duodenoscopes. To learn if you are eligible to file a duodenoscope lawsuit, please contact our legal team by calling (888) 994-5118. Duodenoscopes are used in endoscopic retrograde cholangiopancreatography (ERCP) procedures to diagnose disorders affecting the bile ducts and pancreas. The specialized “side-viewing” duodenoscopes used in ERCP are made with a catheter at the end of the scope that can deploy various instruments to remove gallstones, deploy a stent, or open up a blocked bile duct. The devices were designed to be reusable, and are cleaned and sterilized between patients. Unfortunately, the moving parts on a duodenoscope’s elevator mechanism include many microscopic crevices that can’t be accessed by a brush. These crevices may hide residual body fluids and organic debris, even after what appears to be a thorough cleaning. In February 2015, the U.S. Food & Drug Administration (FDA) warned that ERCP duodenoscopes were extremely difficult to sterilize, and linked the devices to bacterial infections in 135 patients. February 2015: At least 179 people were exposed to CRE at UCLA’s Ronald Reagan Medical Center. It is believed that the infections contributed to the deaths of two patients. If you or someone you love suffered a superbug infection following an ERCP duodenoscopes procedure, help is available. To arrange for a free case review, please contact our legal experts by calling (888) 994-5118.